Sharing my recent order from H&M (and a basket tote I’ve seen in person and LOVE). Summer neutrals (mint counts as a neutral this year! 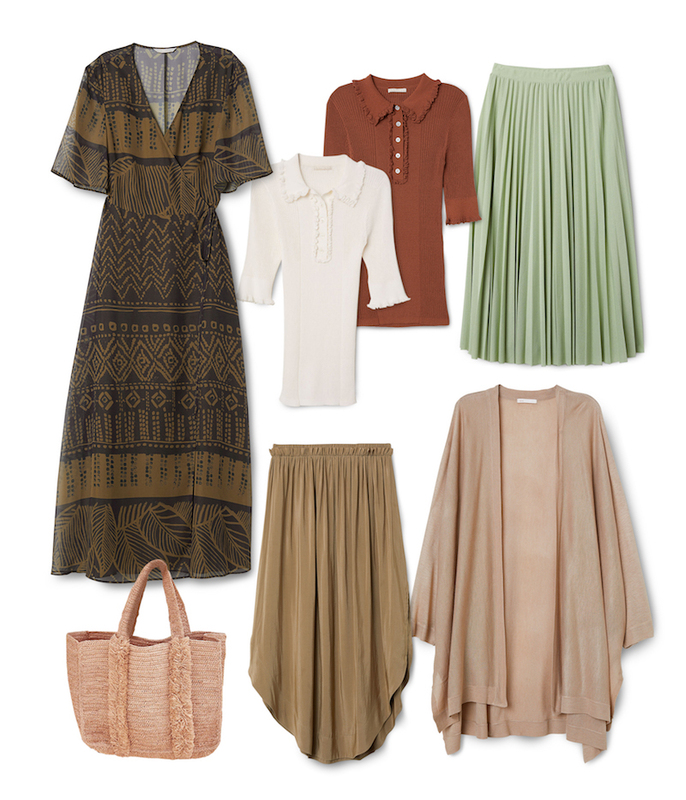 ), pleats, ruffles, and light layers (because I always love to cover up even when it’s warm). Plus everything (except the tote) is under $70. PS: I cannot believe I just scored this amazing tote for work (what can I say, I’m obsessed with Peekaboo bags!). It arrived and is in amazing condition. Love buying consignment! A few more that I almost went with instead: here and here. the neutral palette is so lovely! Loving all of these neutrals <3 🙂 And yayyy for mint counting as a neutral!